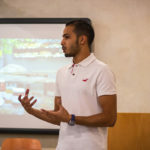 Heliopolis University for Sustainable Development aims to pioneer the introduction of the concepts and principles of sustainable development to its students and to the Egyptian community at large. Sustainable development is one of the main goals that Egypt is striving to achieve in all aspects of life. Egypt has developed a sustainable development strategy as a foundation for its 2030 Vision. The challenges of the future – such as climate change, resource scarcity, population growth, extreme poverty, food security – need innovative, problem-solving solutions. Heliopolis University is committed to face these challenges and has declared sustainable development to be its overall guiding principle. At Heliopolis University, we empower our students to be the champions of sustainable development in different spheres of life. We provide a place where new ideas meet fertile ground for research and teaching. 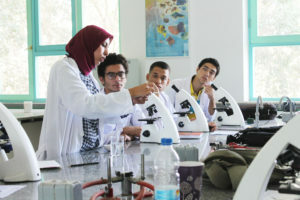 Education at Heliopolis University combines teaching, research, and practice with a uniquely humanistic Core Program, developing curious and creative minds that can reflect and act to shape a better future. To get all information you need to enroll your son/daughter in Heliopolis University, we recommend that you visit the pages of admission, transportation, and hostel. To achieve our vision of deeper inter-cultural communication, HU has established multiple agreements with international universities to exchange students. This Student Exchange Program provides opportunities of internships and training for our students. In addition, they can get the chance to study in these international institutions for a whole semester. These international mobility programs are facilitated by the European credit transfer system (ECTS). 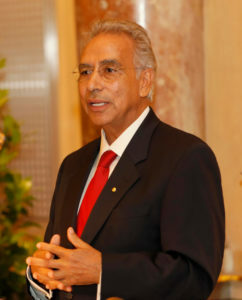 Prof. Dr. Ibrahim Abouleish founded SEKEM in 1977. In 2003, he was awarded the Alternative Nobel Prize honouring his creation of SEKEM as “a 21st century business model which combines commercial success with social and cultural development”. In 2012, he received the “Business for Peace Award”, the highest distinction given to a businessperson for outstanding business accomplishments.